So it doesn't take a rocket surgeon to corelate that colder weather means less juice in the batteries of your e-bike. This manifests itself in range for sure, but more obviously in torque. There's just a lot less assist available. Unlike electric cars, e-bikes don't have battery conditioning (like an air-conditioner/heater for the batteries). In your car, some power is diverted to the conditioning system to warm the batteries up (or cool them down). You may hear this as you plug in a level-3 charger and there's a fan-type noise that starts. So back to me. Normally I leave for the office around 6-630 am. 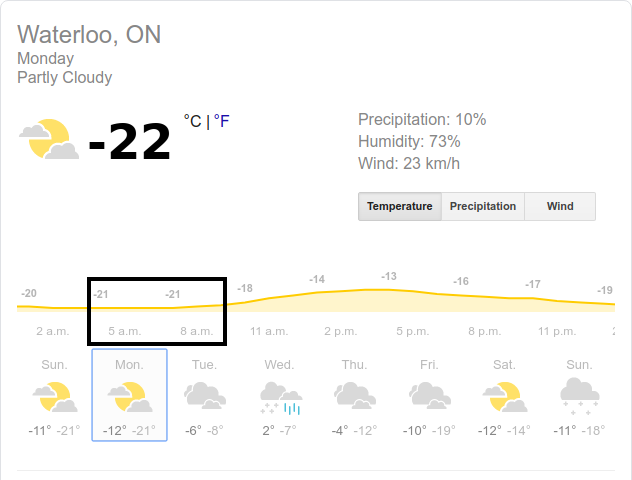 The weather report suggests I'm in for about -21C at that time tomorrow. Crisp. So, poll. Should I ride in tomorrow am? Should I bike to work tomorrow? PS, I always get a kick out of this advice that was sent home to parents. 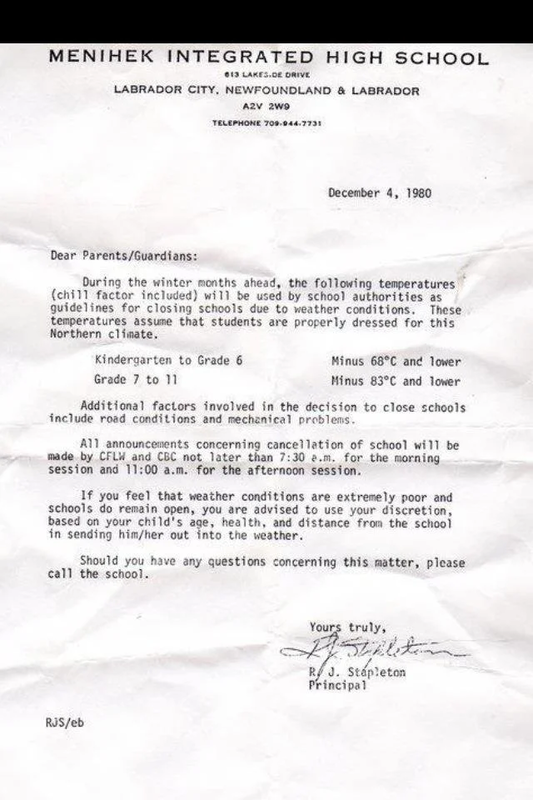 Love the letter, kids all got a kick out of it at dinner tonight when they were complaining about the cold today. 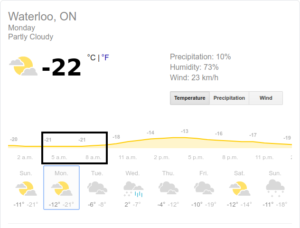 no sense in explaining the change in calculation of wind-chill.